In this season of awakening, let’s plant what will last. I planted the seed in your hearts, and Apollos watered it, but it was God who made it grow.” -1 Corinthians 3:6 (NLT). It was the kind of busy season where you find yourself wearing two different shoes all day but don’t notice until someone points it out (true story). The kind of season where you feel lost in the shuffle of the schedule and you aren’t sure which way is up. It was in that sort of season that a friend chose to invest in my life. Amid the reality of mismatched shoes and the brain fog that accompanies parenting small children, my friend identified a gift he saw in me and provided a way for that gift to be uncovered. He saw a hunger in me for God’s Word, so he and his wife sent me to a bible study facilitator training in a nearby town. There were no stipulations on their gift, except that I use what I learned as God led. 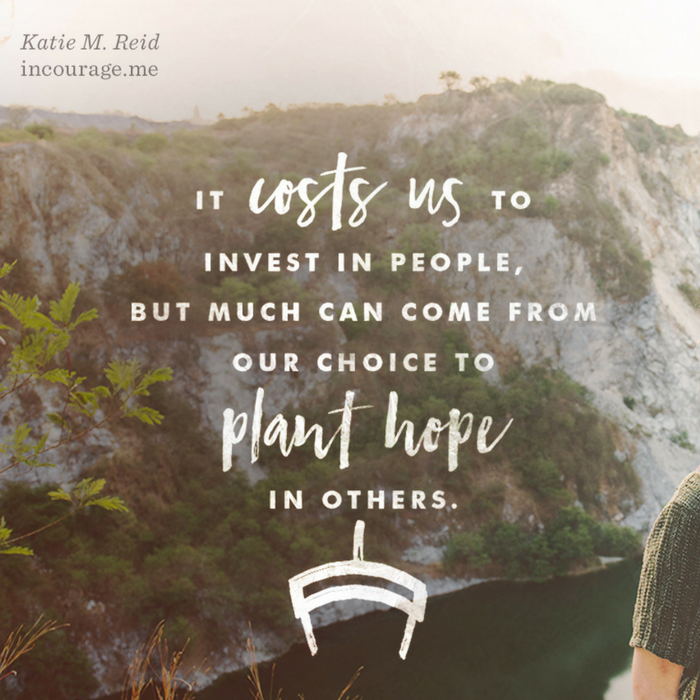 They knew I was a busy mama, and there was no guarantee when my schedule would allow me to teach others, but they felt this was a worthy investment in the Kingdom. Like a farmer who sows seed, my friend exercised faith in planting this little seed in my life, praying it would produce a harvest one day. Years went by before an opportunity arose to lead college students through a study on the book of Genesis. This inauguration led to more opportunities, scattered across the years. With each conversation, class, workshop, or article written, the seed grew roots that reached deep and wide. What started out as seed money of sorts, steadily multiply as more and more lives were nourished by its fruit. And now, almost ten years later, the tools gleaned from that original training are being published as part of a bible study by a leading publisher. It is one of my greatest joys to help others give birth to their dreams and God-given purpose. 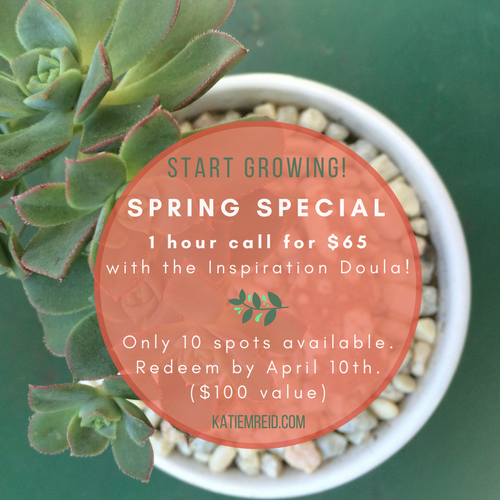 We’re running a special for a one hour creative consultation call with the Inspiration Doula (that’s me). Send an inquiry through the contract form to schedule your call (see image for terms). We can’t wait to encourage you as you take the next step toward your purpose!